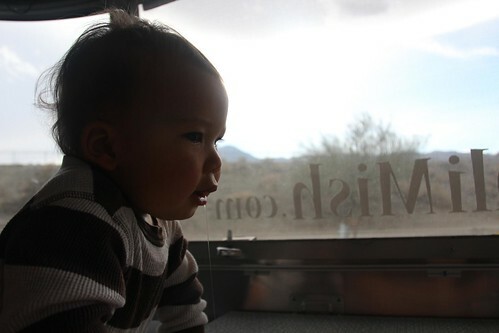 Mali Mish - Day 201: Heading back to our home state of California. Some things have changed around here since our last visit over 3 years go. The buffet breakfast we were looking forward to having in the morning is no longer there. A Wendy’s is in its place so we reluctantly ate breakfast there. Not that there is anything wrong with Wendy’s but when you are expecting all you can eat bacon, biscuits and gravy but instead you get square hamburger patties, it is not a good day. Just as she was staring at the other girl, their eyes met. Mila proceeded to make the ‘I’m watching you’ signal with her index and middle finger pointing to and away from her eyes. I don’t know where she gets this stuff. 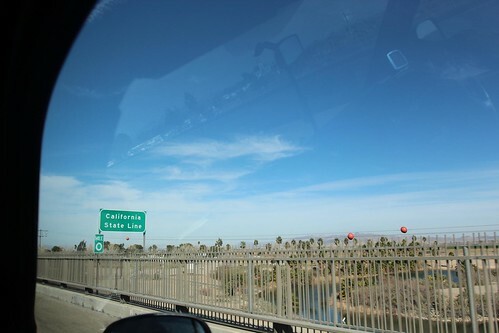 And just like that, we are back in California. 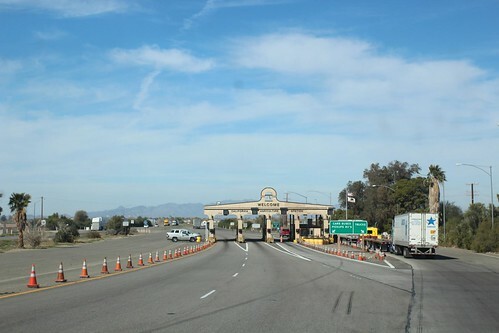 Of all of the states we have been to, California is the only one that makes you go through an agricultural check point. 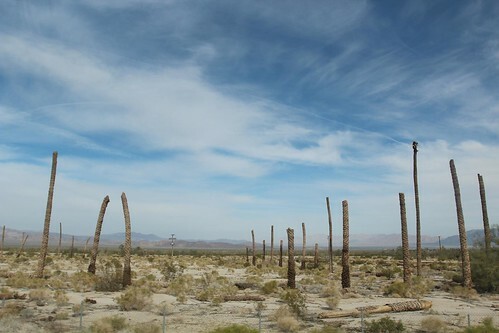 These palm trees have seen better days. 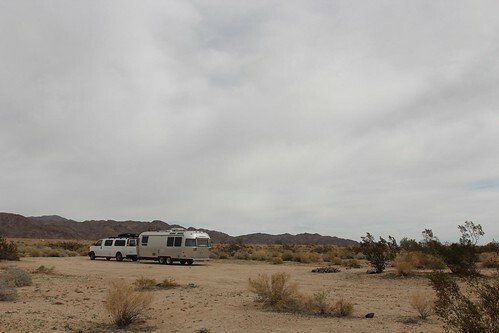 Having done a little bit of research on BLM boondocking along I-10 near the south entrance of Joshua Tree, we wanted to get our eyes on some potential camping spots. This is just outside of the National Park. Great cell reception and very private but the dirt is a little soft in some spots that might get you stuck if you don’t have four wheel drive. 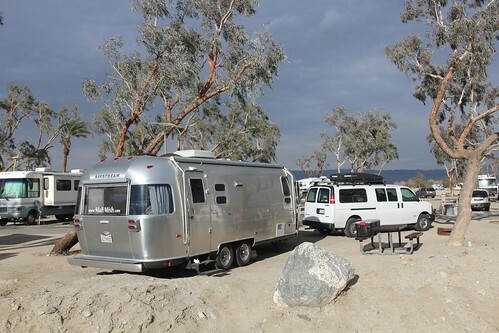 Instead of boondocking we decided to head into town near Palm Springs. I have been eyeing some heavy duty bins to store the generators. Probably would have helped more if I bought them 7 months ago. 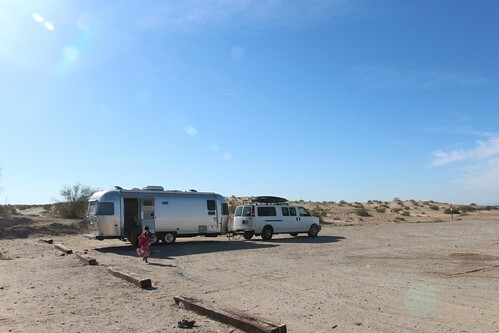 We found ourselves back at one of our favorite campgrounds in the Coachella Valley, Lake Cahuilla County Park. It is much more crowded here than we have seen previously. Apparently there is a fishing competition coming up this weekend and a lot of folks are already here to get ready. 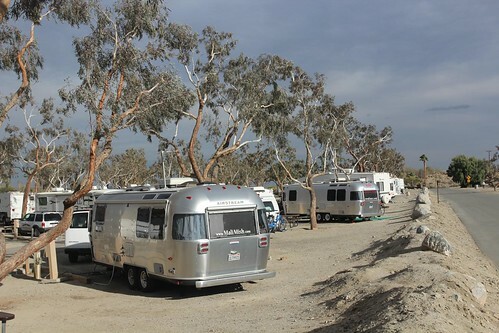 We were a couple of sites down from another Airstream but they didn’t come out much to chat. 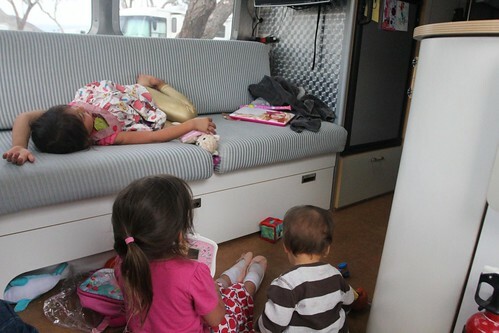 With just a few nights left before we head back to see Marlene’s parents, we will take a little breather and think about transitioning to a more static life. Excuse me, but I have to go wipe up some drool on the dinette table.